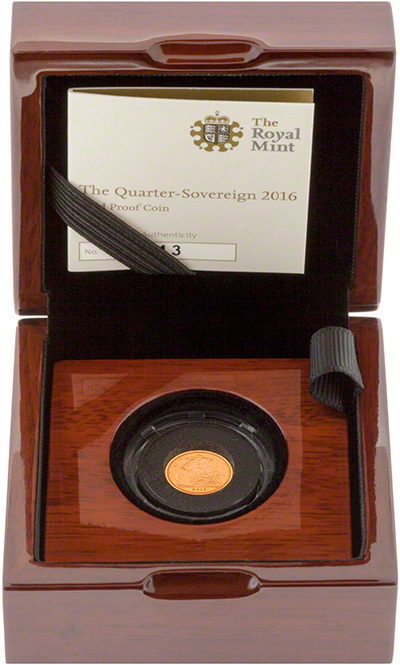 This is the 2016 Quarter Proof Sovereign from the Royal Mint. 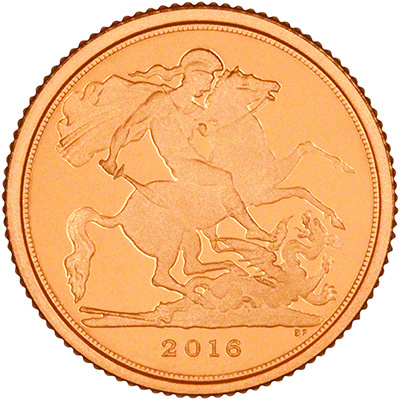 The proof version of 2016 sovereigns feature a different obverse portrait to mark the Queen’s 90th Birthday. 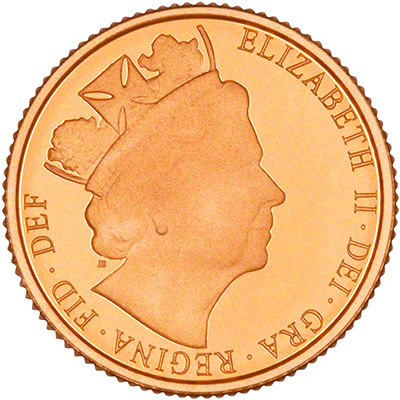 The coins show the James Butler portrait of the Queen, as used on the 2015 Longest Reigning Monarch coins. The coin has a mintage of 1,750. 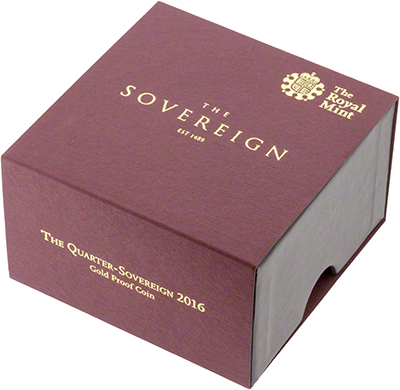 Please see our 2016 British Gold 5 Coin Sovereign Proof Sets for further news. We also have the 2016 sovereign available in both uncirculated and proof and the 2016 proof half sovereign.